Did you know that knowing a foreign language is now a requirement for entering most colleges and universities? In fact, most of them would prefer that you have two or more years of experience on the transcripts. I’ve learned that the easiest way to go about this is to introduce the language early so that it becomes second nature. We have tried all kinds of Spanish curriculum over the years, and by far we’ve found the immersion style to be most effective. It’s the most natural way to learn a new language. As part of the Schoolhouse Review Crew, we recently received Starter Set 1 ($140.25 value) from Foreign Languages for Kids by Kids (FLFK) for review. It is recommended for children ages three and up. A while back we received an online membership version of the curriculum. The online version is still available, but we definitely like the physical version more. Also, check out 10 Reasons We Love FLFK! The teacher guide is super important. 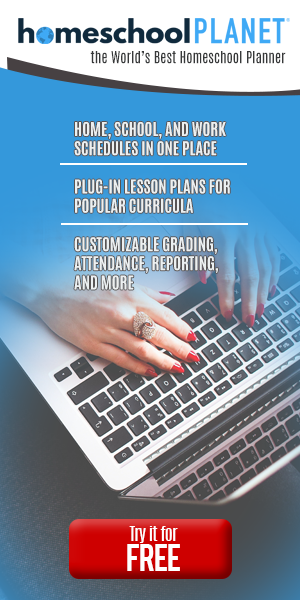 Not only does it house the lesson plans, curriculum flow, and enrichment ideas for each lesson, it also has geography, culinary, and other ideas too!! As far as I’m concerned, the teacher guide is a MUST if you plan to use FLFK. Each of the DVDs invites you into the lives of real Spanish speaking families. The kids have absolutely enjoyed watching, laughing along with, and learning from the kids in Basketballs Aren’t for Breakfast. The video series starts at 8AM at breakfast and ends at 8PM at bedtime. It features a fun set of characters, including the family dogs and three brothers: one who loves eating, one who loves reading, and one who loves to play basketball. As soon as our package came, the kids were super excited to get the DVD into the TV. I sat down and watched the first lesson with my two, four, five, and thirteen-year-olds. The two-year-old stuck around for a bit. She liked the doggies in the video. My thirteen-year-old wasn’t too captivated but stayed till the end to see what would happen. My four and five-year-olds though . . . they loved it! They enjoyed the guessing game (Rapid Review) at the end of each segment and asked to watch it over and over each time it ended. Because they can’t read or write yet, we went over the pages in the workbook orally. The workbooks are brightly colored and full of pictures, making it easy for even non-readers to know what to do. I was surprised by how much they retained after only watching the Level 1 video a couple of times. After watching the segments a few times we started using the flashcards. I kept some in my purse so we could go over them at random times while out and about. Eventually, the kids started quizzing each other and didn’t need me to guide them through the cards anymore. We also used the stickers to label a few things around the house. Using this homeschool Spanish immersion curriculum has been pure fun and enjoyment. For the most part, the kids didn’t even realize this was part of school!! I totally recommend this to any family with kids ages 3 to 12. 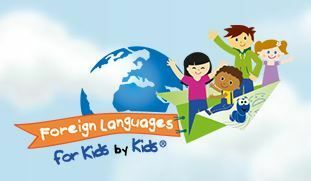 Click the banner below to read more Crew reviews about Foreign Language For Kids By Kids!